Abstract Submission Open through April 30, 2018. Participants will be notified in early June. 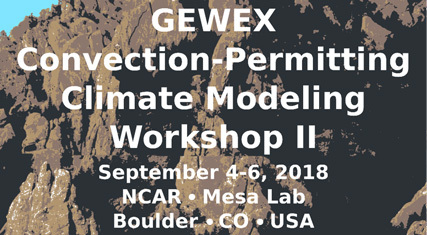 Please visit The 2nd GEWEX Convection-Permitting Climate Modeling Workshop website for more information.